Are you feeling stressed about growing debt balances, out-of-control finances, and an uncertain future? No matter how much debt you have, it’s time to quit worrying and take control of your future. 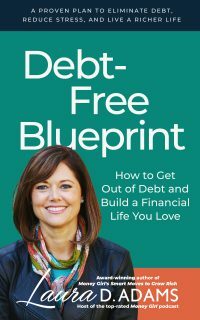 Debt-Free Blueprint: How to Get Out of Debt and Build a Financial Life You Love is an easy-to-follow guide that walks you through the process of getting out of debt, using detailed tips, concise strategies, and often-overlooked techniques and programs. You’ll get the knowledge and inspiration to make financial decisions with confidence and create the financial future you’ve dreamed about and deserve. Tired of worrying about your financial situation but aren’t sure what to do or where to start? Stop stressing! No matter how much you earn (or how much you owe) you can take control of your money–and it won’t be nearly as hard as you think. Laura’s award-winning personal finance book covers the whole enchilada, including investing, buying real estate, reducing taxes, and all the other things you’ll need to know once you have your debt under control and are ready to start putting your money to work. She gives you guidance, tips, and tricks to make the most of your money so you can have the life and future you’ve always dreamed of. Does the stress of your mounting debt keep you up at night? 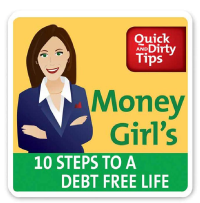 Laura’s top-rated, 10-step audio program will give you the guidance you need to deal with all kinds of debt, from credit card and medical bills, to mortgages and car loans. She’ll help you assess your current financial situation and create a personalized plan you can live with. Learn which debts to pay off first and get tips on negotiating with creditors and paying off bills faster. You’ll be surprised at how easy it is to make simple changes so you owe less, own more, and rest easier. Learn the essential steps to securing your financial future and taking control of your destiny in this practical audio program. No matter if you’re an employee or self-employed, Laura will help you sort through the sometimes confusing investment choices and achieve the retirement you deserve. 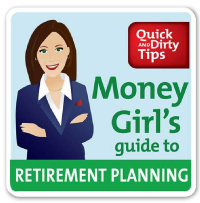 She gives online resources for easy financial calculations, as well as quick tips to help you integrate retirement planning into your busy schedule. It’s a resource you need to ensure security, and maybe even a little luxury, during your retirement years. From time to time we all want to take stock of our lives and add a spark that will steer us in a new direction. Laura is a co-author of this program with other experts from QuickandDirtyTips.com. 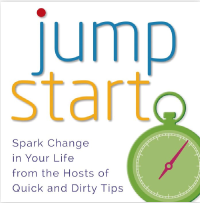 They compiled some of their most popular podcasts and added original material that will help you JUMPSTART your life. Glean simple, effective advice on careers and productivity, communication and relationships, health and fitness, money and finance, house and home, and parenting and family life. Do you want to attack that mounting pile of debt, but just don’t know where to start? 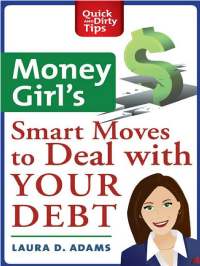 Laura has a clear plan to guide you through the smart moves you need to get rid of your debt for good. She’ll first help you assess your own financial situation so you can create a realistic plan. 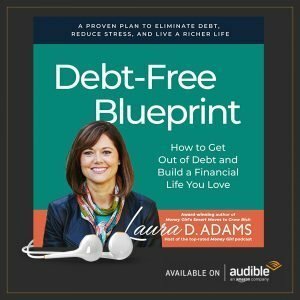 Because staying out of debt is just as important as getting out in the first place, Laura also tells you how to boost your credit score, cut costs, and save money, which will ensure you have a debt-free and happier future. Graduating college is a momentous achievement. But once the diploma is awarded and the parties are over…now what? 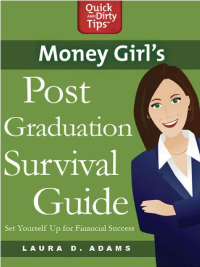 In this essential guide for life after college, Laura and her expert co-authors from QuickAndDirtyTips.com tackle the most important issues facing every recent grad, including how to search for a job, boost your career, have great health, cook healthy meals, shop on a budget, and much more! 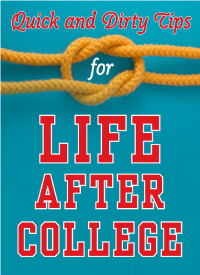 Incorporate this insightful advice into your post-college life, and you’ll cruise straight to real-life success! 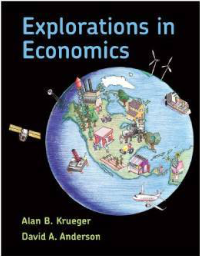 Economics is not just about money; it is all around us. At its core, economics is about choices. And students make choices every day. So with a better understanding of economics, students will be able to make better decisions and be better prepared for their futures. 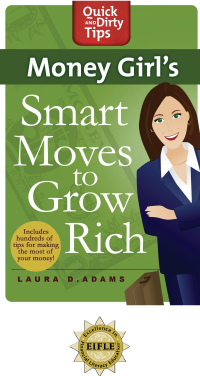 As a key contributor, Laura wrote the Personal Finance Handbook included in this college textbook authored by Alan B. Krueger and David A. Anderson.